A Pink HDMI Cord is a girl gamer’s best friend – flaunt your color proudly and stand out from the crowd! 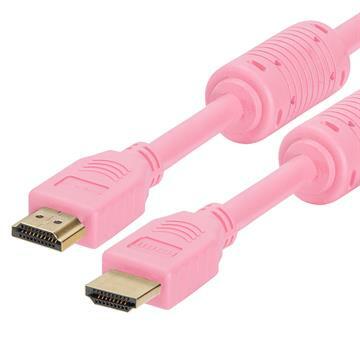 Pink HDMI Cables come in different sizes ranging from 1.5 feet to 15 feet, allowing better mobility. When it comes to HDMI cables pink is a color you would love to showcase. Whether you have a special edition Xbox or iPhone, this is an HDMI cord pink colored devices deserve.